Dana Rohrabacher talks to his peeps—via phone. Again. 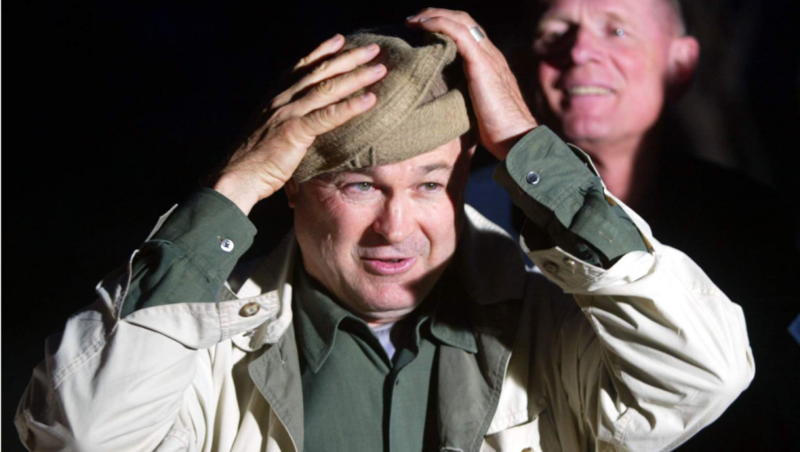 In case you missed it, Dana Rohrabacher sorta kinda kinda sorta held a town hall last night. I say sorta kinda kinda sorta because Rohrabacher is a unique genre of coward, and steadfastly refuses to engage with large swaths of constituents in person. On the one hand, I get it—he has to run again next year, and video clips of folks screaming him down hardly sell well. But, on the other hand, well … stop being a wuss. You represent us. Show your face, dammit. • Rohrabacher relies heavily on Fox News and Breitbart for his climate change material. • Rohrabacher laughs whenever he’s uncomfortable. • Rohrabacher compares Donald Trump to Ronald Reagan. • Rohrabacher is tethered to Trump at this point—a gift to the Democrats. • Rohrabacher needs a better phone. QUESTION: I know your position on the US leaving the Paris Agreement. I wanna know why you don’t think why the Paris Agreement wouldn’t lead to more industry, more jobs, and more global partnerships being lodged. And so far many states and mayors are moving forward with speaking to it, and scientists have proven this global warming is a fact. As a mother I am concerned and I want to know your position. Why against all the scientific facts? You believe there is no global warming and we don’t need to stick to any plan like Paris Agreement. ROHRABACHER: Thank you very much for that question, and let me just say that I’ve been on the science committee here for 30 years. I’ve gone through many, many different hearings with some of the top scientists in the world. Not just in the country, but in the world. Who come here to testify in Washington about the idea that global warming concept. And global warming is, by the way, the idea that mankind, by producing CO2 in his internal combustion engines, that we are changing the temperature of the planet. And for years and years and years they called it global warming. But of course—how you can tell is it was not accurate is they had to change the title. Because for about 15 years instead of … because of the masses increases in the use of CO2, there wasn’t any major increase in temperature. In fact, the temperature stayed about even the whole time. For about 15 years. So they had to change the name from global warming. So every time they use the phrase “climate change” that’s an admission that they were wrong. And here’s what it is: The scientists I’ve heard. Yes, there are a lot of scientists who believe in the CO2 theory. The more CO2 produced by mankind, the hotter it’s going to get. And it’s getting hotter. Well, I don’t believe it. There are many other scientists who say just the opposite; who say CO2 is not a determining factor. In fact most of these other scientists believe that sun spots — in the sun have caused us to go through many many different cycles. For example, in the 1930s it was really hot. In the 1920s and 30s we actually had a big melt off up in the Arctic area as well. In the early 1930s we had some of our hottest weather. In fact the scientists now trying to claim we have the hottest weather ever recorded—they had to change the actual temperatures from back in the 1930s. To make it actually look like it was cooler there. So that these temperatures would look warmer. So we’ve had a lot of shenanigans going on and we should not give up our right to control our economy and control those economic factors that are so important to the well-being of the American people by giving [inaudible] to an international body. Remember the United Nations, their governments and their people who are signing these international treaties, most of them are not democracies. And most of them have governments that are made up of lunatics and crooks. Look at the United Nations—the last thing we should be doing is giving power to them. And that’s what this whole issue is about. Should we do whatever we need to do for our economy and for our environment here in the United States, and should we control our own destiny? Or will we use global warming as an excuse to get control of our lives? The American people wouldn’t support that. Let me just note this: You probably don’t know. Right now the people who are pushing for the global warming, most of them are rich and running around like Al Gore in his private plane, in his millions of dollars home, with all these movie stars in their private airplanes, they don’t want us to be able to own a car. They’re pushing to make sure that parking fees go way up so we can’t afford to have a car. And so gasoline prices go way up. In California we’ve already experienced that, where we’re paying almost $1 a gallon more for gas than anywhere else in the country. People don’t even know that. They want us, for example, to not to be able to have frequent flyer miles on airplanes. These are things that are being advocated by the global warming crowd. Among the many things they’re advocating that would have dramatic impact on ordinary American lives and will put a lot of people out of work, will cost a lot of money and wouldn’t change the climate a bit. Because all of this climate change you see going on—it’s been cyclical and it’s been going on forever. ROHRABACHER: That’s a very good question. Thank you. I happen to believe the massive flow of illegal immigration into our country has been very damaging to the well-being of our people and has a horrible security aspect to it as well in that we don’t know the people who are coming in as we’ve seen in other countries where they’ve done this, they end up with terrorists murdering their people, as were murdered in San Bernardino in our own country. So stopping the flow of illegal immigrants has been a high priority for our president and for me. And I have no apologies about it—I think that’s vital for the security of our country and … if we have limited amount of dollars we just can’t afford to provide any people who are here illegally to actually have government benefits—education, health care, police protection. These are things that belong to U.S. citizens and to people who have come here legally. So do I believe in the Trump wall? The answer is yes, and in fact I have even introduced a piece of legislation that is now in the hopper, it’s coming up for consideration, meaning people are beginning to pay attention to it, and I have been pushing it. The bill does this: The bill is HR2724. It’s called “The Border Security and Immigration Enforcement Act of 2017.” And what it does is, right now we have 1 million people who come into our country as legal immigrants every year. I support that. I think it’s wonderful. Those people who put legal and illegal immigration in the same category—they’re the racists. They’re the ones doing harm to those people who came here from different countries legally and deserve all the rights of every American. Well, what that bill says is … of that million, I found out 55,000 of those 1 million, we’re not even selecting them. We’ve put them into a locker and we take out the names of the lottery. We’re not even making decisions, who would be the best person to bring to our country for them and for our country. And so what we’ve ended up with is not necessarily the best we’d want to come here. My plan would be this—of those 55,000, instead of taking them from a lottery, let’s set up a fund. Let’s let them pay $1 million per person into that fund. And those individuals who do that will be vetted, they will be inspected, they will make sure they are good character, not criminals, not the robbers or anything like that. Terrorists. Those people then will be able to come into the country and within two years if they pass their citizenship tests they will become citizens. And that $1 million per person—for 50,000 of them that’s $50 billion. We can use that to improve the security of our country, built that wall that Trump wants, and also provide for the security of our country in terms of immigration, in terms of naturalization, in terms of border patrols and things such as that. So I hope that answers your question. Yes, I want to build that wall. And I think it’d be very symbolic, but we can do it without costing the American tax payers a dime. And we should do that. ROHRABACHER: Well, we don’t know that. All we know is that the people are going to be chosen at random in some sort of a —laughs—raffle-type thing. Where you’re actually … you don’t know who you’re picking. I mean this is not a selection process of who the good guys are. Right now it’s a lottery. So, no we don’t know right now if those 55,000 … I’d imagine right now most of them have no credentials compared to what your father would have. FOLLOW-UP: If [my parents] had to pay $1 million, they might not have been able to come to this country. ROHRABACHER: Well, if they put $1 million in you’ll at least know they have some means of support and also … we might add that if they put $1 million in it’s going to help you, it’s going to help your father and your family because we’re no longer going to have an open-border system in which millions of people are coming in illegally. Who we don’t know who they are. So a lot of them are criminals. Most of them are not. A lot of them are people who are just coming here for a job. But those people who are criminals are able to come in because we don’t have control of the border. And so the actual money that they spend helps you and your family live a more secure life here. FOLLOW-UP: Well, I still think it prevents people from coming here that want to come here to get their education and get a good job who can’t afford that. For example my dad would not have been able to afford that. ROHRABACHER: Well … well—we already bring in a million people like that every year. Um, we bring in more legal immigrants than every other country of the world combined. All the people combined … and for us to say we’re not going to select 50,000 of them by lottery any more … but we’re gonna think about it and bring in people who can contribute $1 million right off the bat, which will help us secure our borders against people who have come here illegally … they have already made a big contribution right there. But if you don’t agree with that, that’s fine. People disagree. But that’s what I think would be best for our country.